Mamma Mia! Take me back … to Greece! The music is fabulous. The cast is stellar, containing many of my favorite actors. But the setting! Oh, my goodness. 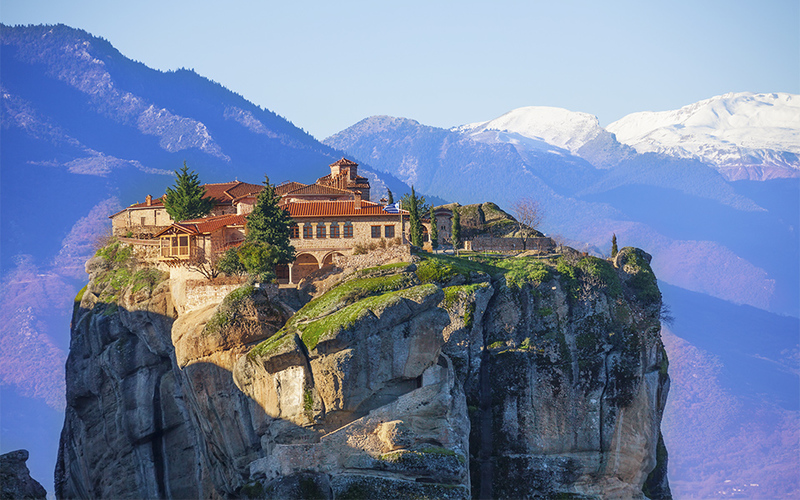 Greece is recovering from the financial calamity that befell the country. It’s trying to repay its enormous debt owed to the European Union; make no mistake, a payment in full is highly unlikely. The country, though, is in nowhere near the dire straits it found itself not long after playing host to the 2004 Summer Olympics. I just watched a beautifully filmed movie that was set in a country in which I have a keen and lifelong interest. It’s my ancestral homeland. I long have wanted to return. A musical film today added a lot of fuel to that burning desire. I know. It’s weird. It’s my story and I’m sticking with it. Donald J. Trump said that Harley-Davidson, the iconic motorcycle manufacturer, was going to benefit from his economic policies. The company would flourish from his protectionist measures. The tariffs and all that. That’s not how it’s playing out. Harley-Davidson has announced it is moving some of its operations offshore because it doesn’t want to get caught in the crossfire leveled by the European Union, which is retaliating against the president’s tariffs against EU nations. As the New York Times has reported: Mr. Trump’s trade war is beginning to ripple through the United States economy as companies struggle with a cascade of tariffs here and abroad. While Mr. Trump says his trade policy is aimed at reviving domestic manufacturing, Harley-Davidson’s move shows how the White House approach could backfire as American companies increasingly rely on overseas markets for materials, production and sales. Harley-Davidson is one of the few American companies that had resisted — until now — the temptation to relocate to sites overseas. 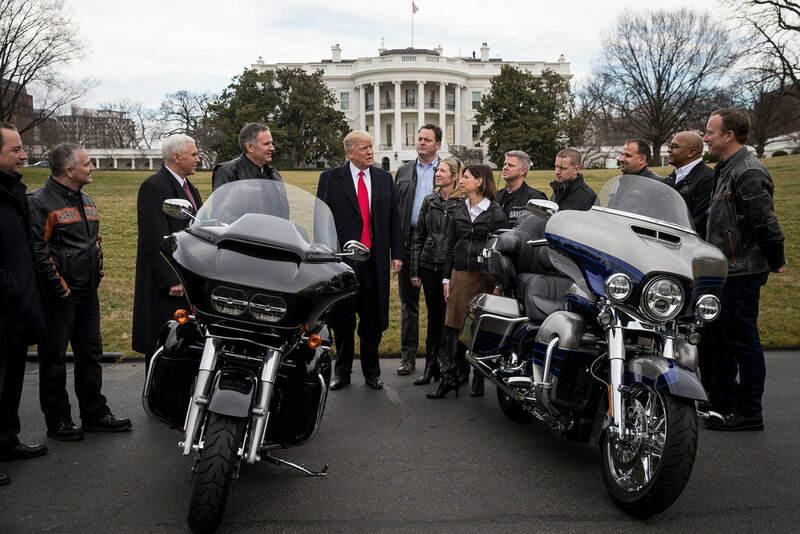 They make Harleys in Wisconsin and the president was proud to hail the U.S.-made manufacturer as a beneficiary of the policies he is pursuing. Well, Mr. President, you didn’t fight hard enough, apparently. The trade war has just produced some early casualties. Open borders? How does the EU survive with them? A social media friend of mine made an interesting point about an editorial that appeared in today’s Amarillo (Texas) Globe-News; thus, I won’t take credit for this observation, but merely want to flesh it out just a bit. He said the editorial, which commented on the heated national discussion about separating children from their parents who seek illegal entry into the United States, brought up the “open border” canard that conservatives often cite when seeking stricter immigration policies. My friend writes, in part: Open borders are in use in several countries of the EU, where citizens of one country can freely enter another country. We don’t have an “open border” with Mexico or Canada these days; 9/11 ended that policy. But as my friend noted, the European Union does have open borders between several of its member nations. In September 2016, my wife and I traveled to Germany. We spent several days in Nuremberg visiting friends. We had planned to take the train to Amsterdam, The Netherlands, to visit more friends. We purchased our train tickets in Nuremberg, boarded the train and rode for six hours to Amsterdam. We crossed from one EU country into another. We got off the train, met our friend, who then took his to his home, where we spent a few days visiting him and his wife and small daughter. When our trip to The Netherlands ended, we went back to the train station in Amsterdam, boarded the train and went back to Nuremberg. Our return trip had a slightly different wrinkle: We changed trains in Hannover, Germany to connect to Nuremberg. At no point did anyone in authority — German or Dutch — ask for our passports; no one asked us a single question about why we were traveling aboard the train; no one inquired about our nationality. Do we want that kind of openness between the United States and the two nations that border us north and south? No. But this hysteria we’re hearing about “open borders” — particularly where it concerns our southern boundary — should remind us that our borders are not nearly as open as they are in much of Europe. Iran nuke deal: good or bad for the world? I remain hopeful that the framework, as I understand it, is going to cut off “pathways” for Iran to obtain a nuclear weapon, as the president said today. If I had one misgiving about the impending deal it is the end of the economic sanctions. The European Union is going to end the sanctions on Iran almost immediately, while the United States will lift them in accordance with verification that Iran is remaining faithful to the terms of the agreement. The U.S. portion of the sanctions removal sounds reasonable and verifiable, to my understanding of what was hammered out over the course of several months. There are lots of nuts and bolts to this deal. The Iranians are going to stop enriching uranium at some locations, will transfer capabilities from one nuclear plant to another and juggle all kinds of contingencies in accordance with what the bargaining nations agreed on. The result, though, must ensure that Iran does not build a nuclear weapon. The Israelis, of course, oppose the deal. They’ve said all along that no deal is better than virtually anything that was discussed publicly with regard to the negotiation. Congressional Republicans are blasting the framework. One GOP lawmaker used the “appeasement” language, conjuring up memories of British Prime Minister Neville Chamberlain’s declaration that Europe had found “peace in our time” in negotiating with Adolf Hitler just before all hell broke loose in September 1939. Instead, the principals have until June to hammer the details out. Congress will get to weigh in. Iran’s nuclear program appears headed in another direction — away from its construction of a nuclear bomb. I’m left to wonder initially: What can be so wrong with that? Why do you suppose Vladimir Putin called Barack Obama today to talk about diplomacy? As in finding a diplomatic solution to the Ukraine crisis, the one instigated when Russia sent troops to Crimea and massed tens of thousands of troops on its border with Ukraine — after Ukraine ousted its pro-Russian president? What do you suppose is going on here? It might be that those economic sanctions, the ones that President Obama’s critics said were mere pin pricks in the hide of the old Russian bear are beginning to take their toll. It also might be that the European Union’s threat of political isolation and NATO’s insistence that any further military action will not be tolerated by the Western European alliance. Tough guy Vladimir Putin, the former KGB spook in chief turned Russian president, called the president of the United States today to talk about a diplomatic solution to this crisis. The two leaders agreed to have their countries’ chief foreign emissaries — Secretary of State John Kerry and Russian Foreign Minister Sergei Lavrov — meet soon to begin hammering out a solution. The targeted sanctions have begun taking a serious bite out of some key Russian backsides. President Obama has vowed deeper, more sweeping measures if the Russians escalated their encroachment even more. To date, the sanctions have involved freezing access to cash for some of Russia’s key money men and political insiders. Obama has made the point repeatedly in recent days that Russia has acted against Ukraine out of weakness, not strength. He’s insulted Putin by referring to Russia as a “regional power” not worthy of consideration by this country as a major geopolitical foe. Russia has been kicked out of the G-8 conference of industrialized nations and has seen the next economic summit pulled from Sochi, Russia and relocated to Brussels, Belgium. He’s now willing to talk about a diplomatic solution. Methinks those “toothless sanctions” have grown some fangs. You’re a highly trained security officer, trained to protect the president of the United States, the head of state and government of the most powerful nation in the history of the world. Your government has spent a lot of public money to train you to perform your duties. Therefore, your business is our business and you are accountable not just to the Leader of the Free World, but to the people who’ve bankrolled your training. Then you go on a bender in Europe as the president is preparing to visit with heads of state of our nation’s European allies. You end up passed out in a hotel hallway. You’re drunk as a skunk, acting in a decidedly unprofessional way while representing — supposedly — the best and the brightest of this nation’s law enforcement community. And you’re put on administrative leave? Three Secret Service officers are in serious trouble for conduct so reprehensible it defies description. It’s not the first time. Other officers assigned to the president’s security detail were fired after they were caught cavorting with hookers in Colombia. This latest incident is just as bad. Maybe worse, given that at least one of the agents rendered himself useless, as he was floundering in a drunken stupor in The Netherlands. Zero tolerance. That sounds good enough for me.